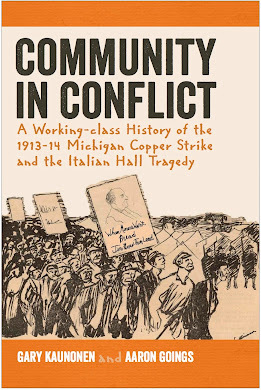 There were a number of spies or as the mining companies termed them, "Operatives," in the Copper Country during the strike. 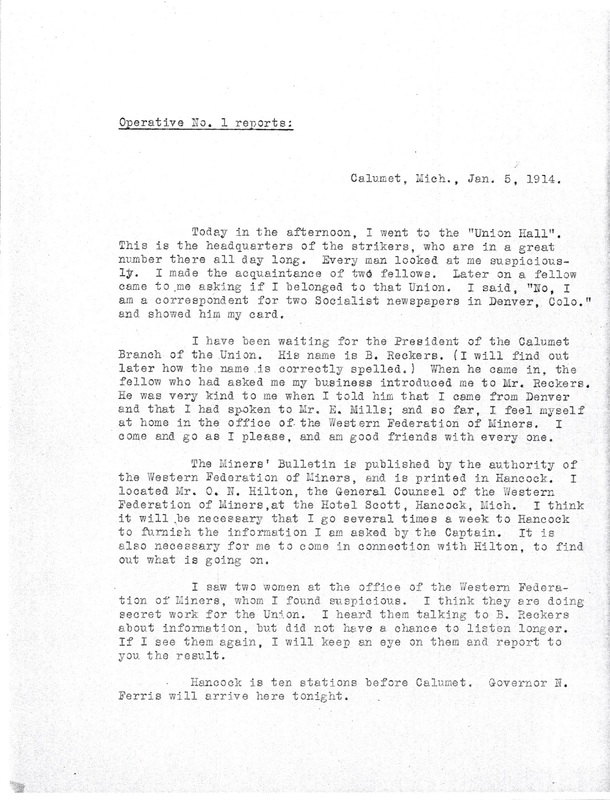 After the fateful events of the Italian Hall, one operative, appropriately named Operative 1, was sent to Calumet with the express mission, "Find the one responsible for Italian Hall." 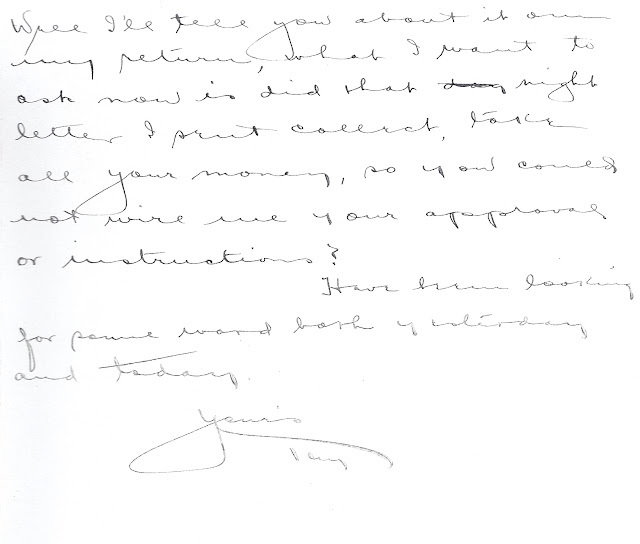 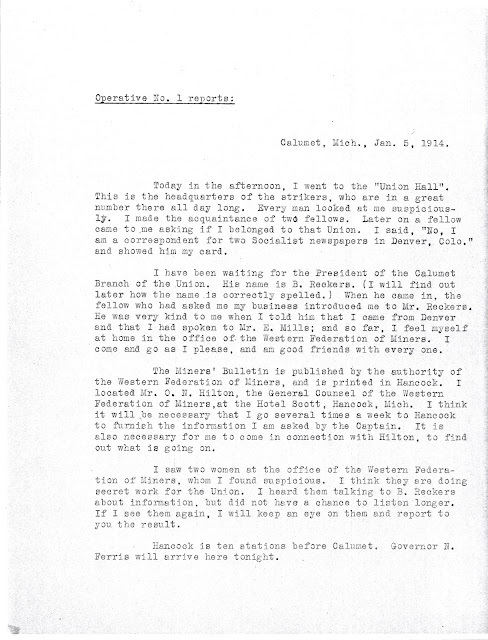 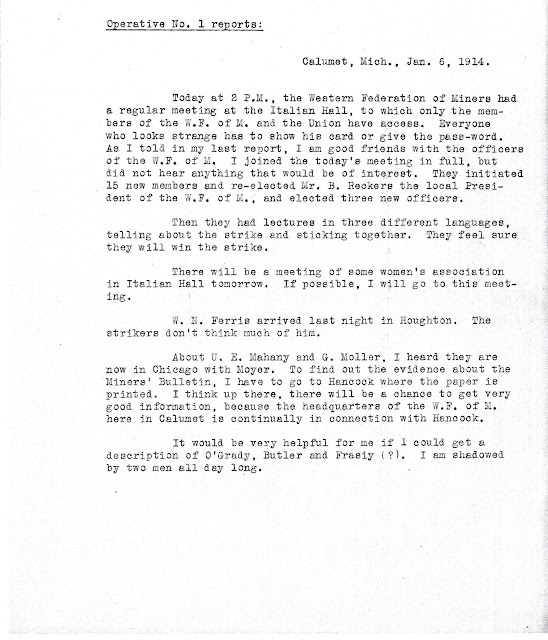 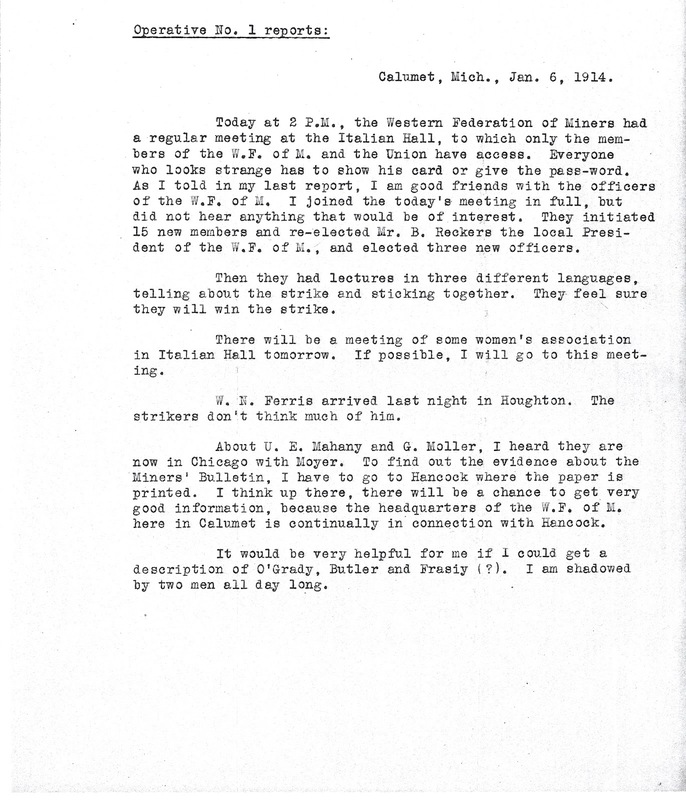 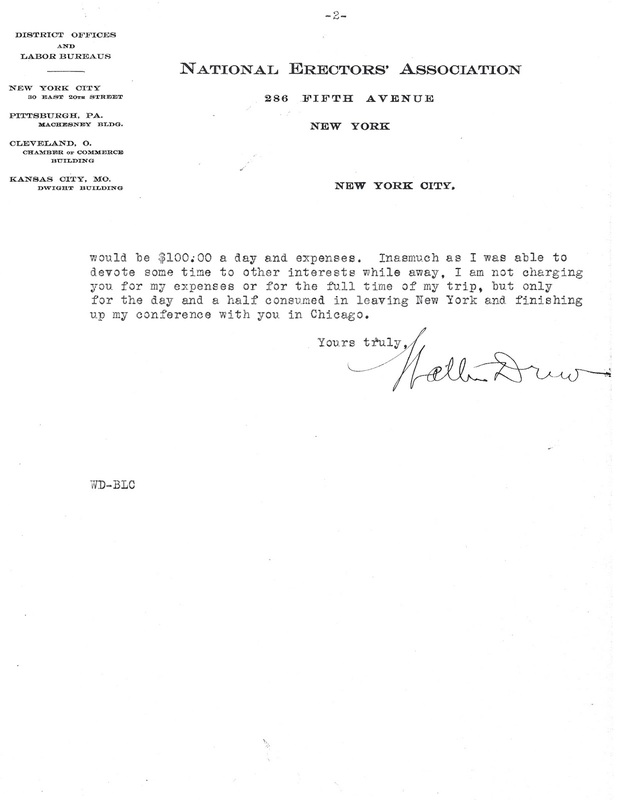 Operative 1, who was posing as a journalist from Denver working for a socialist newspaper, quickly gained access to the Western Federation of Miners (WFM) and was even invited to their meetings. 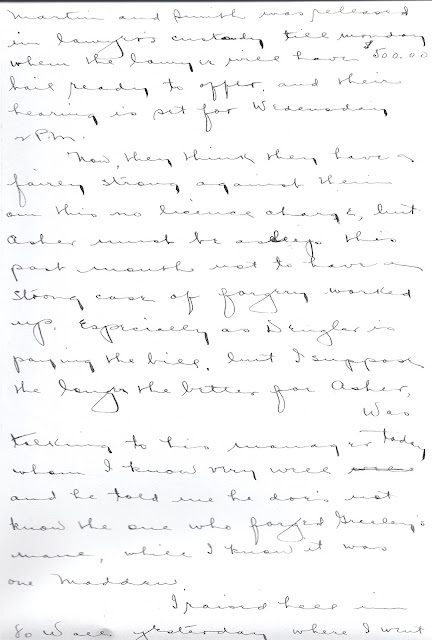 His letters back to his handlers give an intimate portrait of the WFM while they were attempting to pick up the pieces after the tragic events at Italian Hall. 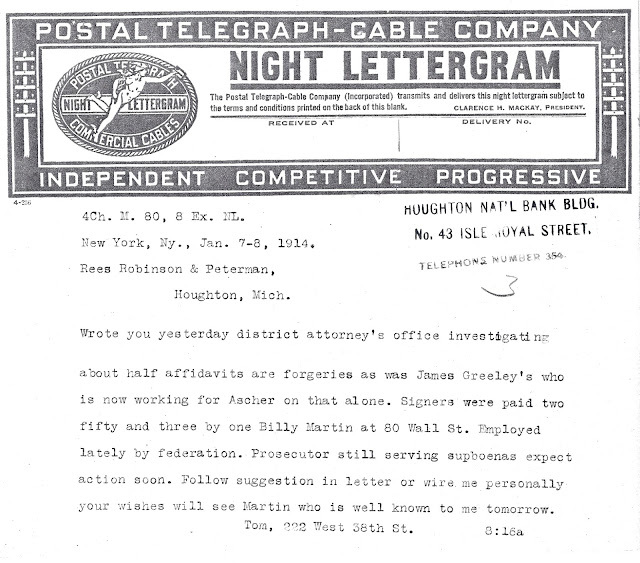 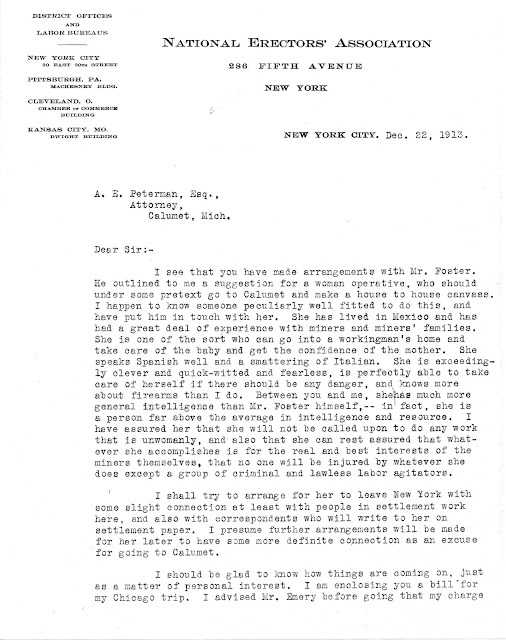 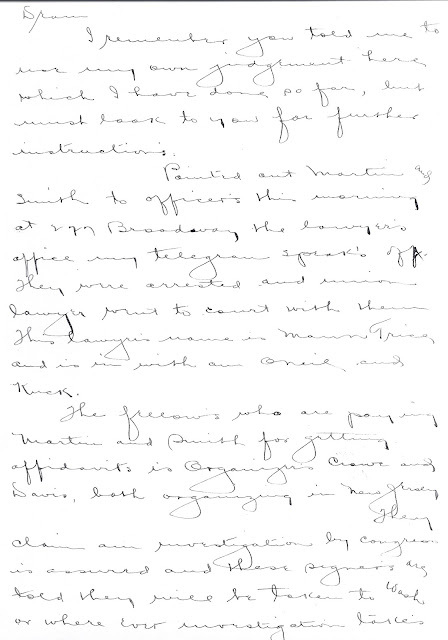 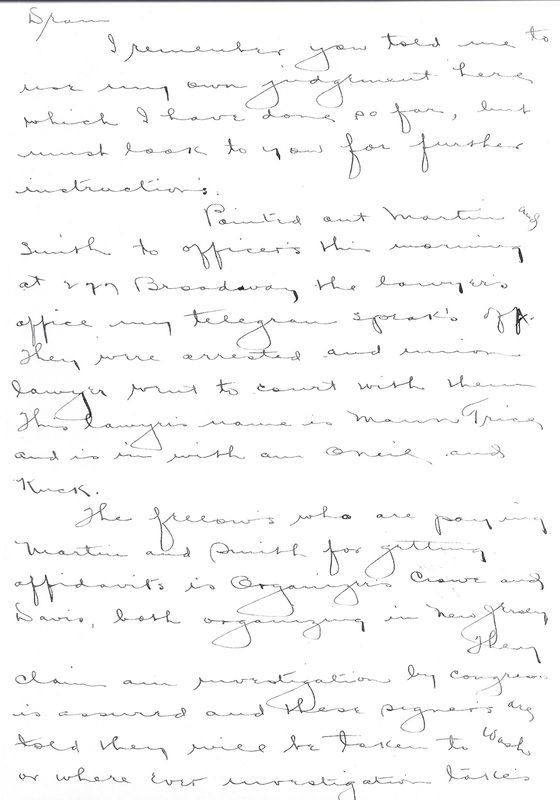 This letter, dated January 5, 1914, gives readers an idea of how this operative skillfully inserted himself into the business of the union in this critical time. 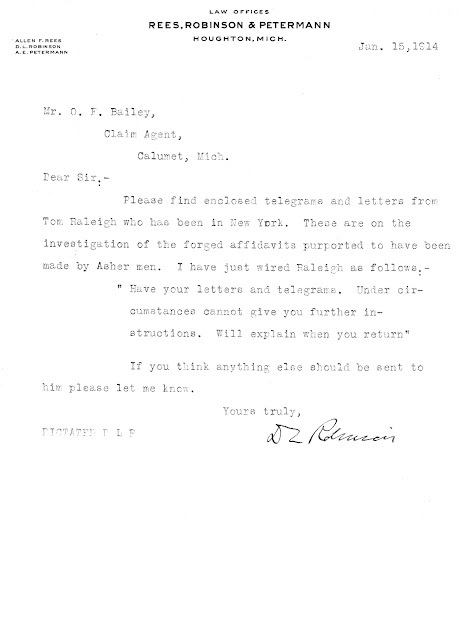 Not much is known regarding this labor spy and his private life, but from his dastardly work infiltrating the union this much is certain: he was really good at his work!